Does Mark Zuckerberg have political aspirations? Zuckerberg 2020? The Facebook CEO recently revealed plans to visit and meet people in 30 states—a move many believe is the start of the entrepreneur's political career. His first stop: Waco, Texas, where Zuck lunched with proud community leaders, heard from young parents, and connected with ministers. "In many ways, I still don't have a clear sense of Texas," he wrote in a Thursday Facebook post. "This state is complex, and everyone has a lot of layers—as Americans, as Texans, as members of a local community, and even just as individuals. "But this trip has helped me understand just how important community is, and how we're all just looking for something we can trust," Zuckerberg continued. "We may come from different backgrounds, but we all want to find purpose and authenticity in something bigger than ourselves." Early this month, the tech billionaire tech announced that "after a tumultuous last year," he hoped to "get out and talk to more people about how they're living, working and thinking about the future." As the leader of a social media nation of 1.8 billion, Zuck already acts like a head of state: Over the years, he's met Russian Prime Minister Dmitry Medvedev, hobnobbed with President Barack Obama, greeted China's censorship chief Liu Yunshan, and socialized with Pope Francis at the Vatican. He first let his civic aspirations show in 2013, with the launch of FWD.us—a political action group focused on immigration reform. 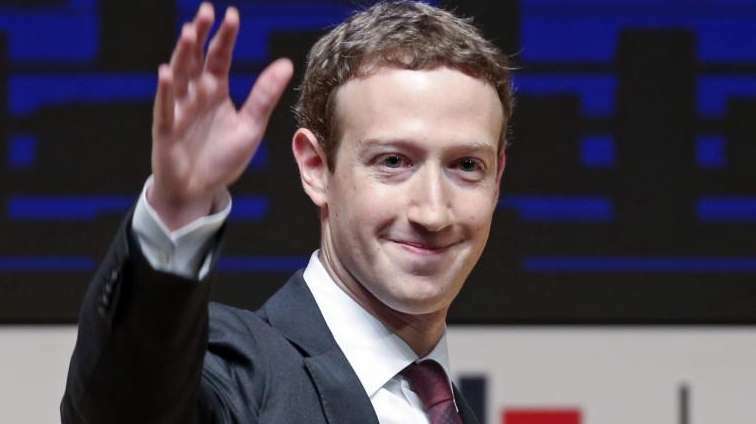 More recently, Zuckerberg has pushed for worldwide Web access, vowed to protect free speech, worked to solve the clean energy problem, and pledged billions to cure diseases. Last month, Zuckerberg convinced Facebook's board to let him retain control of his company, even if he took a leave of absence to serve "in a government position or office." And on Dec. 25 he wished the world a "Merry Christmas and Happy Hanukkah," explaining that while he "went through a period where I questioned things," he now believes "religion is very important." There is no word on whether Zuck would take with him his massive personal communications management team—profiled this week by Bloomberg. Some help write posts and speeches, others delete harassing comments and spam on his page; he even has a professional photographer documenting his life.